Having Problems With Your Dishwasher? ​We would be happy to help! Valley View Appliances offers trustworthy service for your dishwasher repair and we strive to make your experience successful from start to finish. 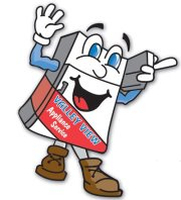 As a leader in the industry, Valley View Appliances will be able to provide you with top-notch service and we will get your dishwasher repaired smoothly and efficiently. Referring to the image, locate and then record the model and serial number of your dishwasher. Keep it handy as we will need it when you book the service call. Some helpful tips would include: ensuring the power is on by checking the electrical breaker. Simply switch the breaker that powers the dishwasher to the off position. Wait 10-15 min and switch back on. 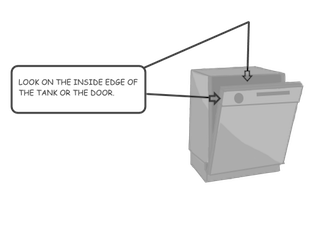 If the dishwasher is not filling, ensure that the water supply to the dishwasher is turned on. Due to the complexity of today's dishwashers, most repairs are best left to our certified appliance technicians. 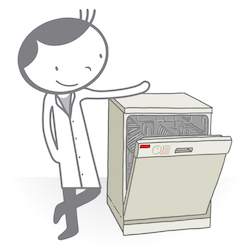 We would be happy to help you with your dishwasher repair service. Did you know that by applying the following tips, you can keep your dishwasher running more smoothly and efficiently. Use the proper detergent and rinse agent. We recommend using Finish or call our part's line at ​1-866-243-4662 for a complete line of high-grade detergents. If you have removable filters, ensure they are cleaned out regularly (refer to your owner's manual on how to do this). Because of the nature of today's non-phosphate detergents, we recommend regular cleaning of the interior by running cleaner through a heavy-wash cycle. We recommend using Dishwasher Magic which can be ordered directly from our part's line at ​1-866-243-4662.